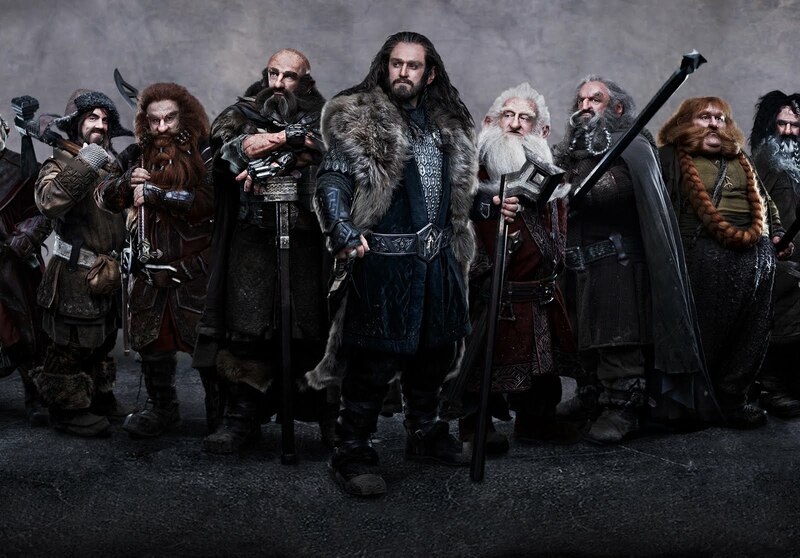 All thirteen dwarves that are set to partake in the legendary journey of Bilbo Baggins in Peter Jackson's upcoming two-part epic fantasy film, The Hobbit, assembles. With the departure of director Guillermo del Toro at the helm of the much-anticipated prequel to The Lord of the Rings film trilogy, fans of the J. R. R. Tolkien's all-time classic was relieved later to have Peter Jackson back at helm of the film. The promo machine at Warner Bros. has been working non-stop in its task of releasing gradual updates of the individual picture of the thirteen dwarves for the past week. We have wisely avoided covering these respective gradual reveals knowing that a complete unveil will eventually happened. True enough, ahead of the San Diego Comic-Con, the final image of all thirteen dwarves assembled has arrived. From left to right, Jed Brophy as Nori, DEAN O’GORMAN as Fili, Mark Hadlow as Dori, JAMES NESBITT as Bofur, PETER HAMBLETON as Gloin, GRAHAM McTAVISH as Dwalin, RICHARD ARMITAGE as Thorin Oakenshield (center), KEN STOTT as Balin, JOHN CALLEN as Oin, STEPHEN HUNTER as Bombur, WILLIAM KIRCHER as Bifur, Adam Brown as Ori and AIDAN TURNER as Kili . The Hobbit, to be made as two 3D films, follows the journey of Baggins, who is swept into an epic quest to reclaim the lost Dwarf Kingdom of Erebor, which was conquered by the dragon Smaug. Approached out of the blue by the wizard Gandalf the Grey, Bilbo finds himself joining a company of 13 dwarves led by the legendary warrior Thorin Oakensheild. Their journey will take them into the Wild; through treacherous lands swarming with Goblins and Orcs, deadly Wargs and Giant Spiders, Shapeshifters and Sorcerers and ultimately Baggins' meeting with Gollum, where he gains possession of Gollum's "precious" ring -- the simple, gold ring that is tied to the fate of all Middle-Earth.